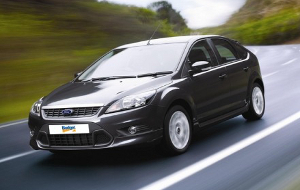 Budget car hire bookings qualify to take part in SouthAfrica.TO's travel vouchers for travel reviews program. Simply email a writeup of your experience to cheapflights@southafrica.to and we'll send you vouchers. 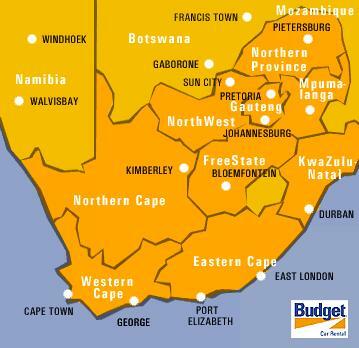 Budget Rent a Car is one of the largest car rental companies in South Africa, with offices in Cape Town, Johannesburg, Durban and all the major airports & most centres in southern Africa. 12 Feb 2015 : Breaking news : Barloworld, who have been managing the Avis SA brand for 45 years, has agreed with the Avis Budget Group to operate their Budget Car Hire brand in SA from the 1st March 2015. They will manage the Budget Car Rental brand in all the southern African countries which they operate Avis in, except Angola. So, that is : Lesotho, Malazi, Mozambique, Namibia, South Africa, Swaziland, Zambia and Zimbabwe. 2002 Budget Rent a Car is delisted, with most of its assets being sold to Cendant Corporation (worldwide assets, excluding the Americas, Australia and New Zealand are sold to Avis Europe, Plc). 1987 Budget rent a car is pubicly listed. 1986 Budget rent a car is purchased from Transamerica by Gibbons, Green and van Amerongen Ltd.
1960 Budget rent a car is incorporated in Chicago. 1958 Budget rent a car is founded by Morris Mirkin. 22 Feb 2009 Review of a Budget Car Rental made through the SAA site (they have an agreement). 22 May 2008 Example of a Budget Car quotation.